Are you an artist or a crafter? Do you like making handmade gifts, but you're bored with the usual round of knitted/crocheted gifts, and you're not sure what else there is? Well, you don't need to look any further than your newspaper, wrapping paper stash, or that ream of paper just waiting for your printer. Unless you have little kids, paper is usually overlooked as a material for making presents. After all, a handmade card only goes so far. However, there are many, many other things that you can make out of paper, many of which actually turn into classy, nice presents. Still skeptical? 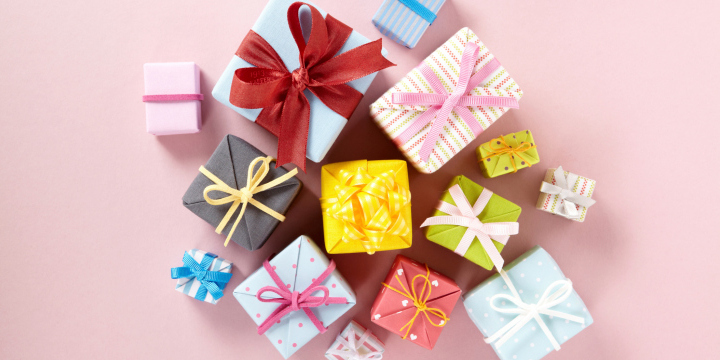 Check out these 10 ideas for gifts you can make out of paper. You can make almost anything out of papier mache. Whether you'd like to make a fun sculpture for a child's room, a piece of religious art, or maybe a set of safari or forest animals for display, papier mache can be your friend. At its most basic, you mix pieces of newspaper with diluted paste, attach them to some sort of mold, and wait for them to dry. However, the site above has some more sophisticated ideas, too, if you want to do a more complex sculpture. 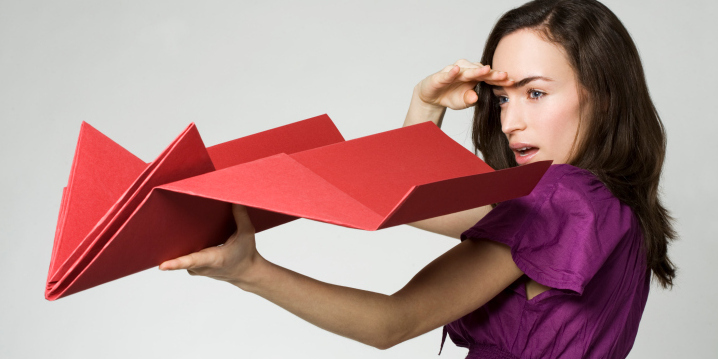 Do you think paper airplanes are just for kids, and that most of them don't really fly anyway? Think again. These paper airplanes, for example, come in all sorts of sizes and shapes. Practice folding your favorites for a whimsical gift, or fold several and let the your recipient test them for distance, acrobatics, etc. You can build castles, vehicles, buildings, dollhouses and interiors, and lots more out of paper. If you're not sure where to start, you can buy these already printed and ready to be assembled, or you can print your own. Check out some of what's available, so you can get a feel for how this works, then decide if you want to design your own or purchase someone else's design. Quilling is basically art made out of paper that is cut or torn into thin strips, curled, and arranged. You can start with a simple project like this delicate filigree pendant, and work your way up to more complex ones like these inspired designs. Also called paper filigree, quilling can be a fairly simple way to make beautiful and unique art that your friends and family will be proud to display. If quilling isn't your thing or you want something a bit more sophisticated, get some inspiration from these works of paper art. The site doesn't link to many instructions, but that's kind of the point. Use these pieces as a jumping-off point or as inspiration for what simple paper can actually create, then do some experimenting. Trial and error can get you far in the world of creating with paper, and you'll probably come up with something fun and memorable for your intended recipient. Origami is often relegated to the realms of children or Japanese artists. However, paper folding can also create beautiful and useful gifts. These nesting boxes from Martha Stewart are easy, as well. Choose some high quality paper and simply follow the directions to create boxes in all sorts of sizes. You can even choose a theme, like Christmas boxes or boxes to go with the decor of a particular room. If you're working mostly with scraps of paper or looking for a gift project that can use the scraps left over from other papercraft projects, try making a paper mosaic. You'll want to lightly sketch your picture onto canvas or paper before you begin, then organize your paper scraps by color. Finally, you can arrange them onto the picture and fix them in place with glue. Let the project dry, and you have a homey piece of art that will be a bonus in any home. Are you sick of wrapping with your tissue paper, or wishing you could use some of those colors that don't really fit in with the holiday season? Make a tissue paper tree! These are easy enough that the kids can help you make them, and yet they're decorative for the holiday season and beyond. Try making a whole forest of them in several different sizes, or make large ones to flank a fireplace or a sofa. 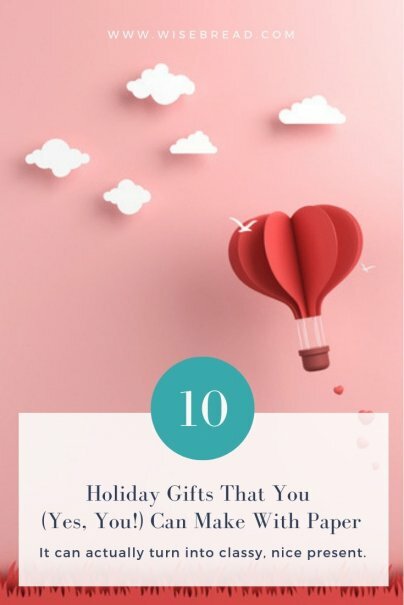 These are great for when you need a lot of similar gifts, because they come together quickly and they're always a hit. 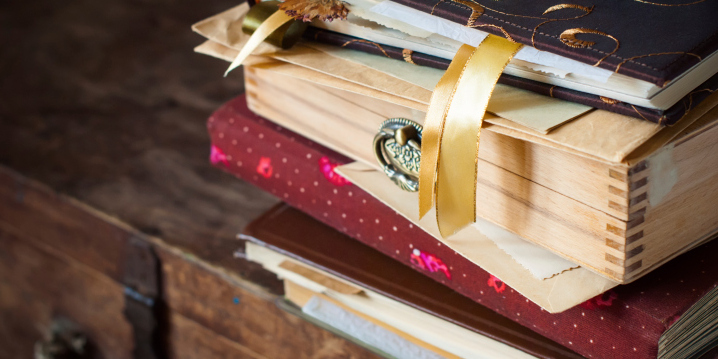 The writer in your life probably has plenty of journals already, but they don't have one handmade by you! While making a book by hand is no small task, the final product is something that will be treasured for a long, long time. If you don't know anyone who will fill a blank book with words, you can always make one of these and then fill it with photos, drawings, or notes for the recipient. If you want to make a book but don't want to start from scratch, or if you have an old copy of a book your recipient will especially enjoy, try making an old book into a blank book. Again, this can be a fairly extensive project. However, if you use high quality paper and perfect your craftsmanship, you could be creating an heirloom. These are just a few of the projects you can make from paper that would also make high-quality gifts. Have you ever made a gift from paper? What did you make and how did you do it? I like the DIY journal idea - that would be a great gift for my sister.